In 2011 Ana-Maria Vera launched Bolivia Clásica, now a registered charity in the U.K. as well as a foundation in Bolivia to which she devotes much of her time. 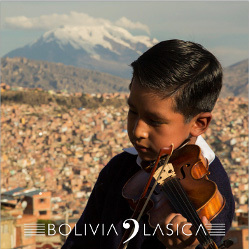 Bolivia Clásica is a music project created to empower a young Bolivian generation through cultural exchange. It enlists top musicians from all over the world to work closely with local teachers and young aspiring musicians, often from disadvantaged backgrounds, and includes a biennial festival to draw high-profile soloists to a country long isolated from the international music circuit but which has all the ingredients to become a destination of choice. Its mission is to enhance the quality of cultural life in Bolivia and offer hope to a new generation of young people by spearheading a movement towards excellence in all fields.